You can help your child maximize their learning opportunities even while they are travelling with ABCmouse's range of educational apps! Whether on the way to school or even during long and boring road trips, your child can now learn while on the go with ABCmouse's series of educational apps! Requiring no internet connection after downloading the app, these apps act as fun, supplementary tools to help reinforce your child's learning during those oftentimes wasted minutes during travel. 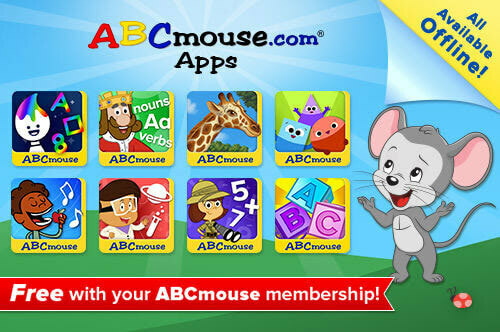 Plus, all of the apps are accessible for free if you're an ABCmouse subscriber! Don't have a valid subscription? Not to worry! These apps also come with a free trial so you can check these apps out before committing to a subscription. If you do decide to subscribe, you can do so here.